Sargasso of Space is of course a 1955 (first British edition 1970) book by one of my favourite childhood authors, the wonderful Andre Norton. It’s about a planet called Limbo, which seems to attract spaceships to it, pulling them with an overpowering force until they crash upon its surface. While studying The Bookshop Guide website, which lists many second-hand and antiquarian bookshops in a number of English counties including the (non-existent, really) West Midlands, I spotted that there were apparently two very interesting shops in Stourbridge, which like my home village of Bloxwich, is in the Black Country – though Stourbridge is certainly better-known as being so, and has in the past been famous for its glass manufacturing. 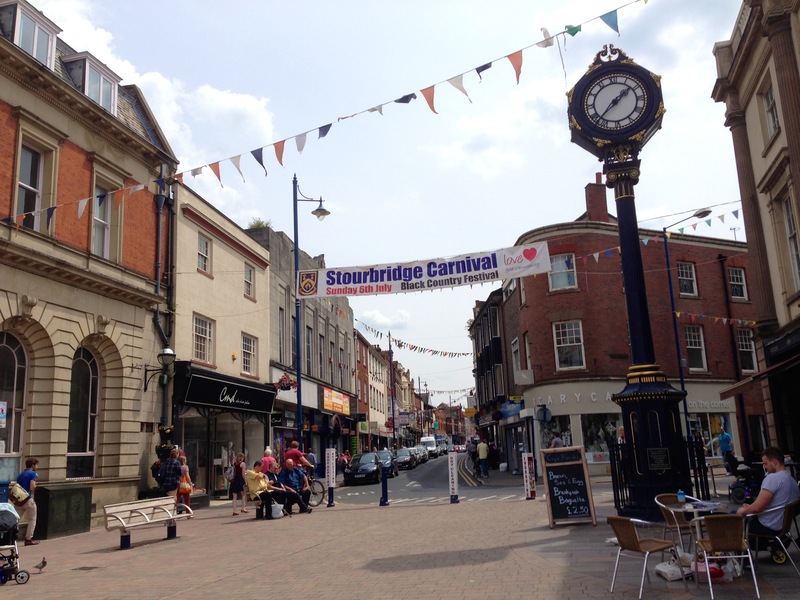 It also has quite a nice town centre and a number of historic buildings as well as many modern shops. The bookshop that caught my eye on the list at first was Idwal’s Books, claiming a stock of some 15,000 second-hand books of all varieties. Great! Sadly, when I looked at the location on Google Maps and Google Earth, it readily became apparent that this once epic shop had now gone ‘into the west’, and had at some time been replaced with a gallery, which had itself popped its clogs, and was now performing a genuinely dead parrot sketch. 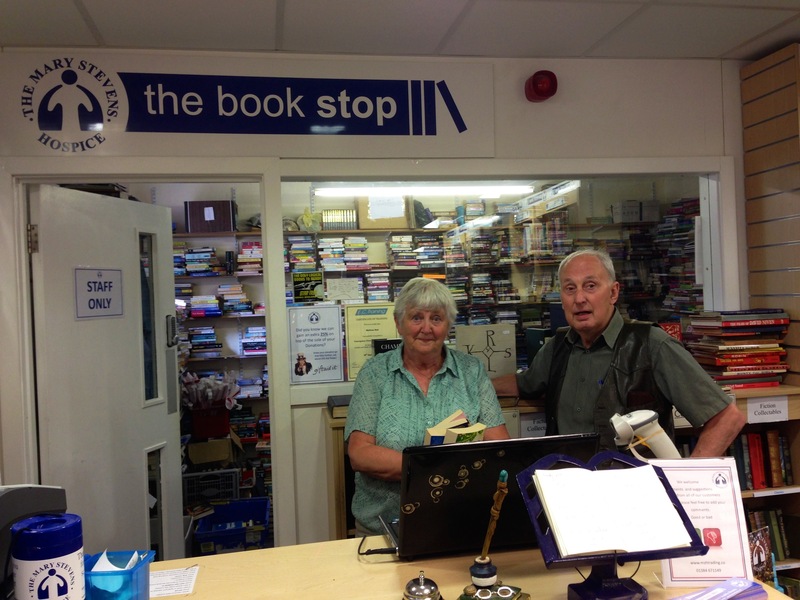 The Book Stop, at 52-53 High Street, Stourbridge, then became my target for the day. You might feel there’s a theme developing here when I tell you that this is another charity bookshop, or rather a large and high quality department of what is effectively a charity ‘department store’, with the usual charity goods downstairs, and the books and a nice little coffee shop upstairs. 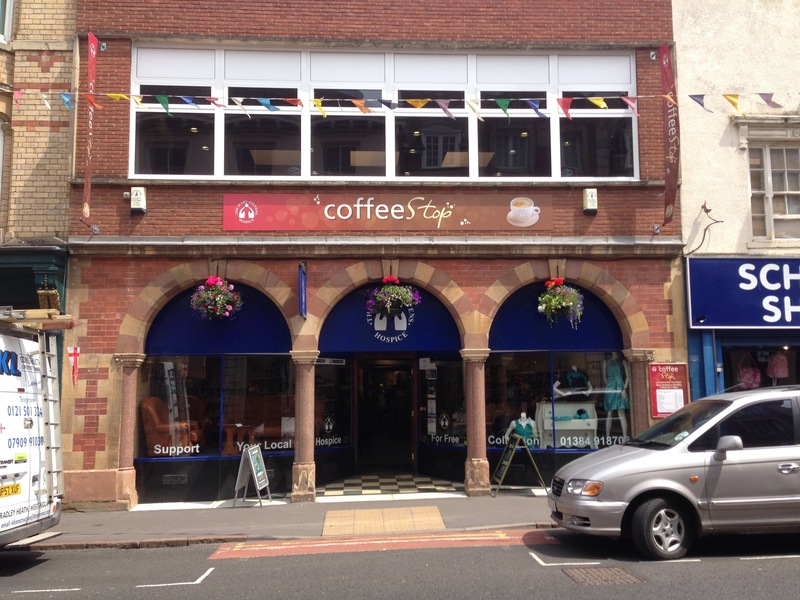 This all supports the Mary Stevens Hospice at Stourbridge, though you’d be hard put to tell from their website, which says more about the coffee shop than the books! They do also have a rather quiet Facebook page, so please do give it a Like, and tell them I sent you. I had a hard time finding this one on Google Earth and Maps, because the shop frontage is set back under the frontage of a building with pillars and arches shading the downstairs windows. Thankfully, I did spot it in the end because it turned out to be, despite being smaller and less pleasantly located than Books Revisited in Coleshill, the most useful one for me so far this week. And that also was a surprise. I travelled by bus from Bloxwich to Walsall, then on the 311 Walsall to Dudley and finally the 276 Dudley to Wollaston via Stourbridge. I tell you, that bus was nearly the death of me in today’s heat, it took an age to rattle all the way to Stourbridge, but it showed me more of Black Country hills, houses and pubs than I ever dared dream of… Seriously, when I came back I got the 246 to Dudley, which missed out most of the houses and returned via Brierley Hill, thankfully! Anyway, like Coleshill I’ve never been to Stourbridge, and I discovered that despite the usual Black Country post-industrial blight in parts of the area, it’s a surprisingly attractive town centre with many historic buildings remaining, a long High Street and a fabulous Victorian pillar clock. Some nice pubs, and many modern shops as well as older premises. The new bus station (they call it Stourbridge Interchange) was very swish, better than the disastrous flying saucer at Walsall, despite a few of the computer displays being dysfunctional! 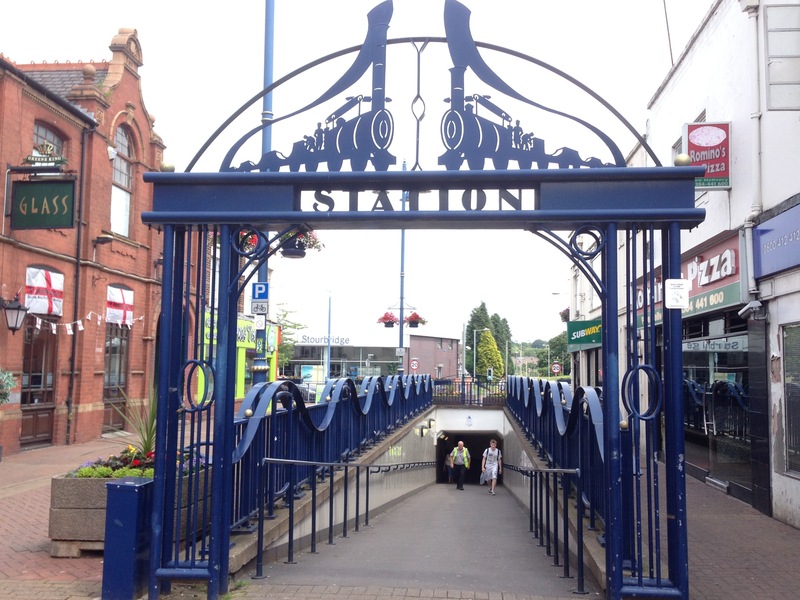 And it’s next to the Stourbridge Town railway station for those of you who want to train it. After walking out of the entrance to the Interchange, I was pretty much right on Stourbridge High Street, and it only took a few minutes to locate the shop. There wasn’t much evidence of books downstairs, but once I found my way up to the first floor, it opened out nicely to the left at the top of the stairs with the coffee shop on the right. Note: there isn’t a lift. 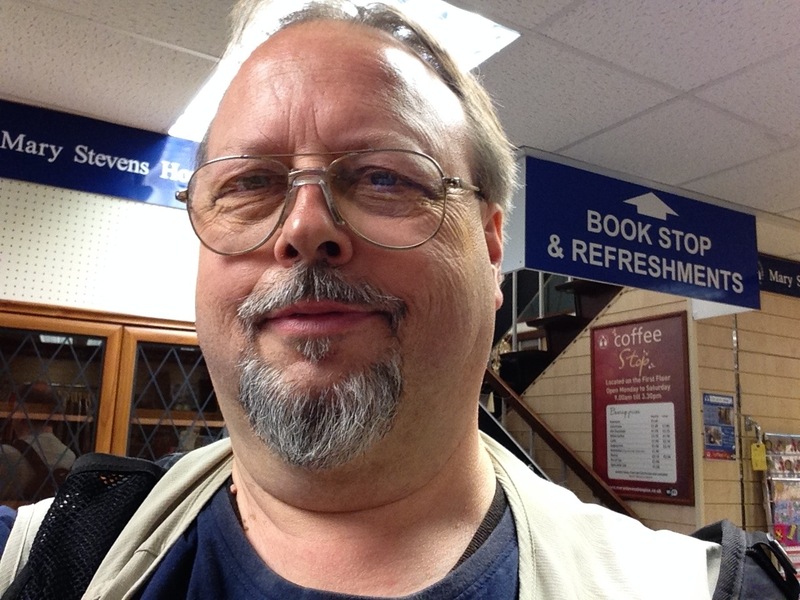 I moseyed on in and had a potter round the general books before homing in on a single bay of what was mostly fantasy with a bit of horror, not much science fiction at all. I was feeling disappointed until I spotted the antiquarian and collectable section at the back of the department, just under a window looking into a combined staff and stockroom. A quick search below the window came up with three elderly but good condition Science Fiction Book Club hardbacks dating from 1978-1982 – Somerset Dreams by Kate Wilhelm, The Night of Kadar by Gary Kilworth, and The Five Doors by Jack Rhys, plus a 1974 Readers Union edition of The Tenth Planet by Edmund Cooper. Each was £2.50. Not the cheapest, but not bad. Then came the big surprise. When I took these to the counter I told the young chap on duty, Matt, I was interested in old science fiction books and his face lit up. He told me they had a big pile of these in the back as they weren’t worth a lot but the manager was sci-fi buff who said they should be kept instead of disposed of. So he got them all out and piled so many old paperbacks on the counter I thought he was building a wall! He had to leave at that point but his equally friendly volunteer colleague, Mike, was very helpful, and I subsequently, while trying to figure out what was in the collection before me, had a chat with him and his other volunteer colleague Joyce. Nice folks all three – and if they read this, thanks again for your help! 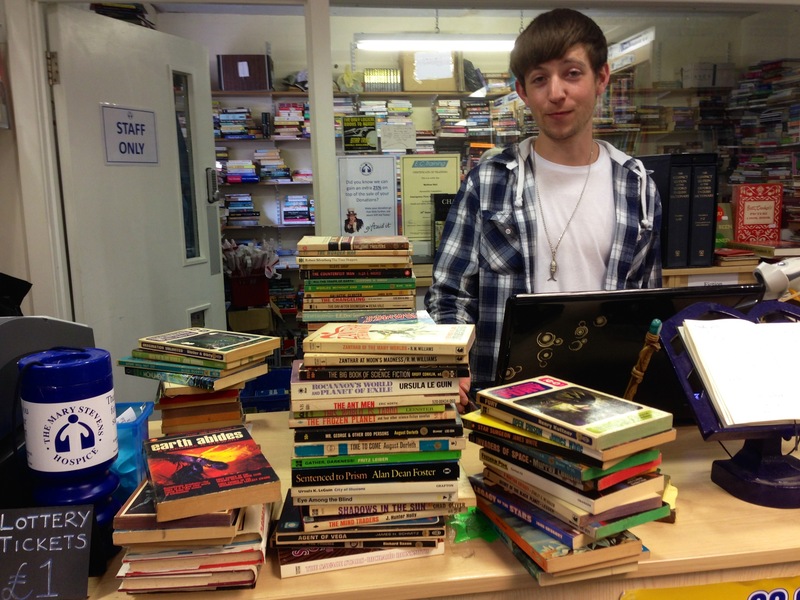 Any road up, there was no way I could cart that lot home – over fifty paperbacks at a guess – so I picked just fifteen (!). Well, at three for a quid I could hardly say no, could I? 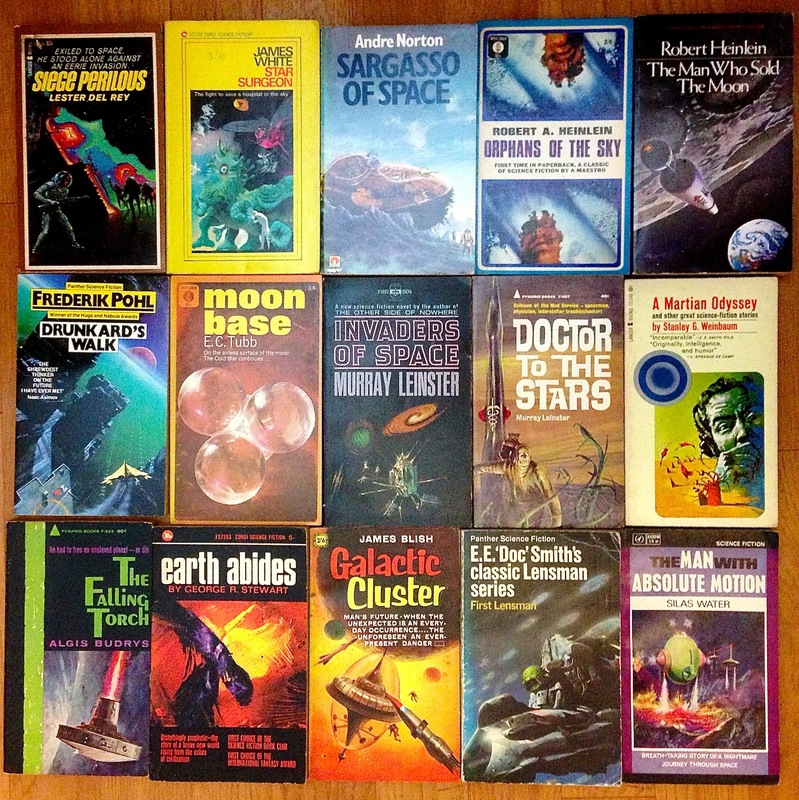 Especially as so many of the authors brought back happy childhood memories of reprints of classic US pulp stories, and a lot of these books don’t even seem to have been read before. I’m not writing down all the titles of those I brought back in today’s hall from Stourbridge, it’s nearly 2 in the morning now and I need to get to bed, but just have a look at the photo below, you can click on it for a bigger image! The Book Stop in Stourbridge? Definitely recommended, as long as you ask to see the old SF paperbacks ‘out the back’! You might even care for a cup of coffee. Idwal’s Books, sadly, could not compete with all of the charity shops in Stourbridge. After moving back to Lye the business is now defunct. But the owner, Ben Smith, now operates as an editor. 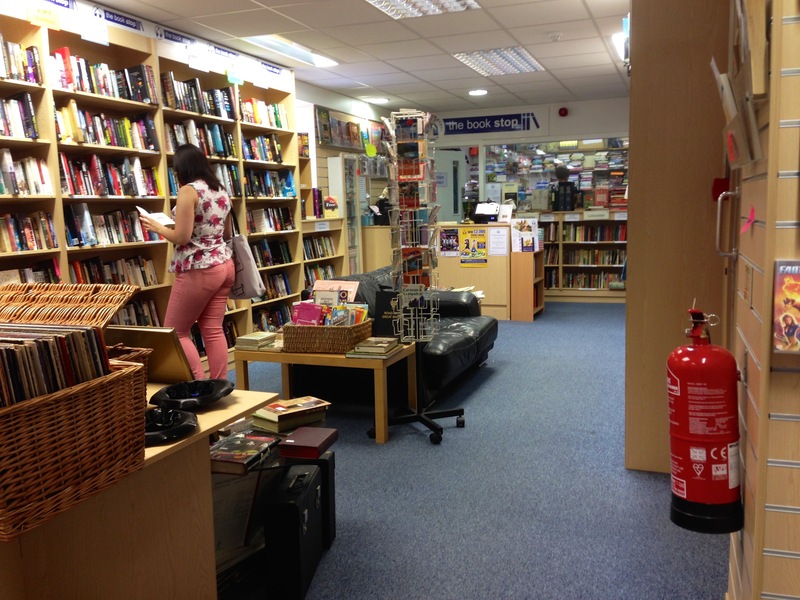 A lovely review of a great charity shop/bookshop. I am reluctantly downsizing my paperback collection (sadly no sci-fi only murder mystery) and they will all be heading to the Book Stop.